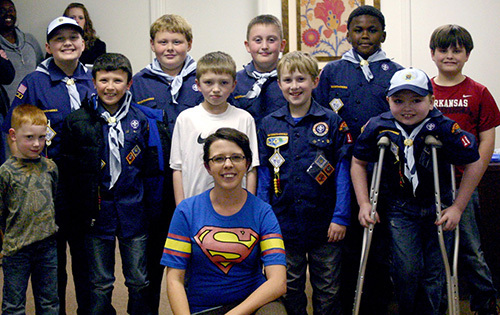 The Boy Scouts of America - DeSoto Area Council is chartered to provide the program of the Boy Scouts of America in 11 south Arkansas counties. Whether its through "Scouting for Food" or reading for Scout advancement or getting exposure to vocations and careers through merit badge work and Exploring, the youth of our area are learning about our society and working to better it, while Scouting helps keep them safe and on the right track. They have more than 1,500 members in South Arkansas and over 400 volunteer leaders.